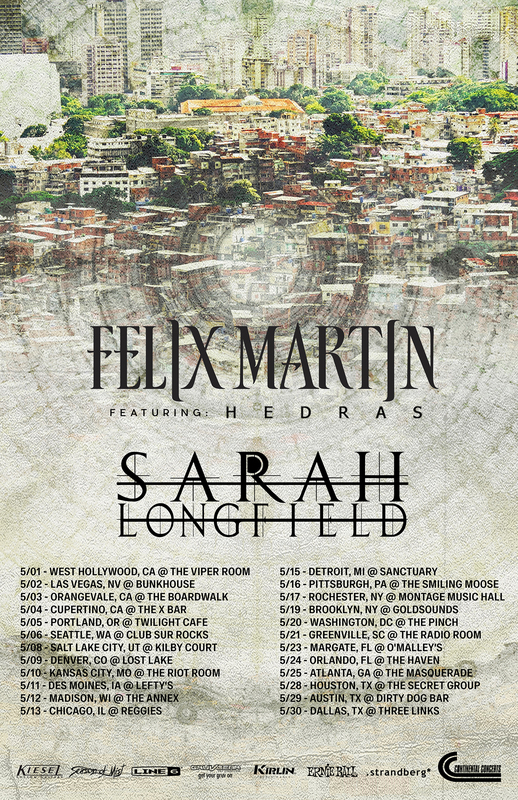 Wisconsin-based SARAH LONGFIELD, dubbed one of “the world’s greatest 7 and 8 string guitarists” by Guitar World Magazine, has announced a US spring tour with Felix Martin in support of her ambitious new album, Disparity, her first album for Season Of Mist. The tour begins May 1st in West Hollywood, California and runs across the country for nearly the entire month, the tour ending in Dallas, Texas on May 30th. SARAH LONGFIELD is in the vanguard of young players leading the evolution of the modern guitarist, and her bold new full-length Disparity is a fascinating and mesmerizing glimpse inside the storm. 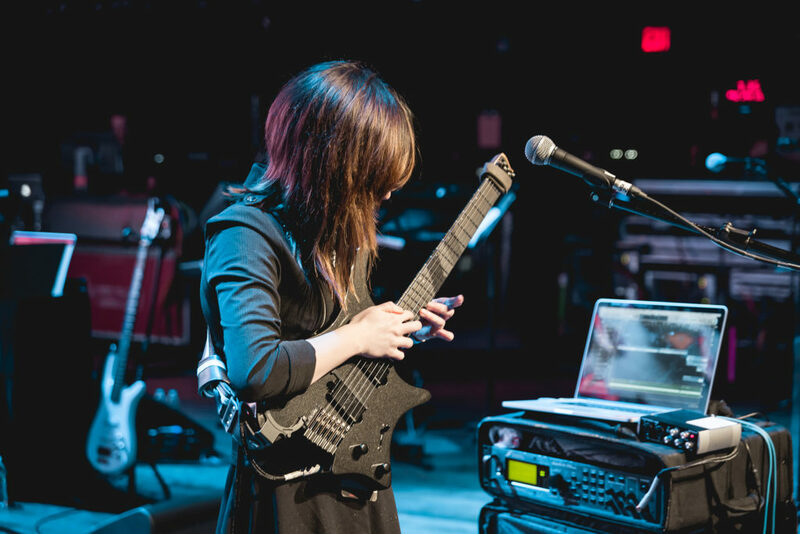 Her singular tapping technique was adapted from piano-playing fundamentals, making the output from this young guitar phenomenon, multi-instrumentalist, and composer an immersive and exhilarating experience, and secures her new Disparity LP as one of the most ambitious and creative progressive metal albums of 2018. Disparity sees SARAH LONGFIELD raise her virtuoso playing and unique tapping technique to astounding new heights. Her music defies all genre constriction while artfully melding complex melodies with incredible levels of guitar shred. 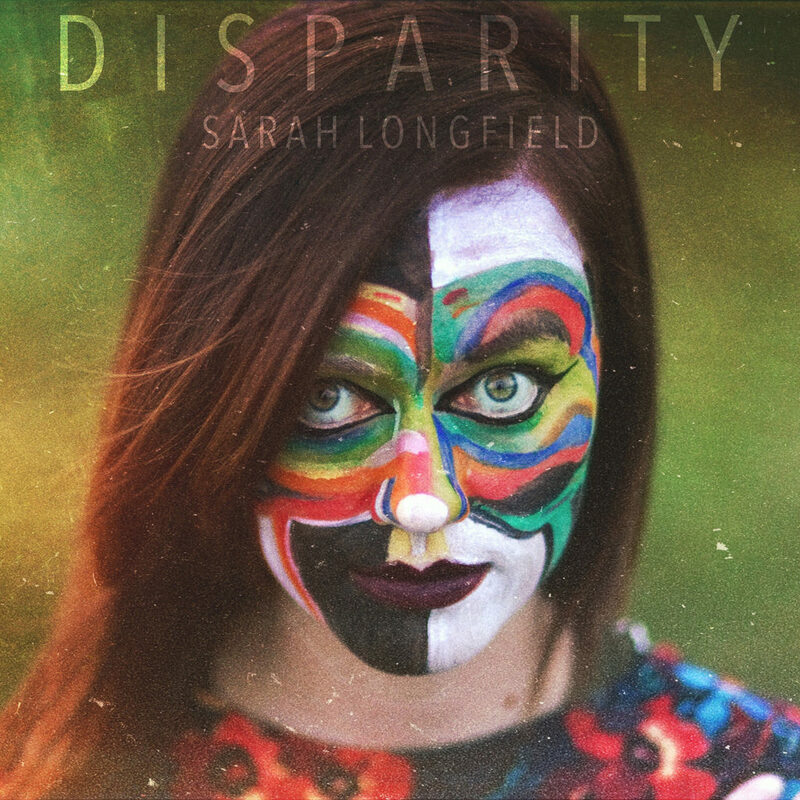 Stream SARAH LONGFIELD’s Disparity at YouTube HERE and Bandcamp HERE. Released in November, SARAH LONGFIELD’s Disparity is available on CD and LP with an array of merch bundles at the Season Of Mist webshop HERE and digitally through all providers, and a plethora of video material can be seen at the artist’s YouTube channel HERE. After years of playing the piano and the violin, multi-instrumentalist SARAH LONGFIELD found her true musical calling when she purchased her first 7-string guitar at the age of thirteen. Her first EPs Zeal (2011) and Par Avion (2012) received high praise from critics and fans alike. In 2012, she formed the band The Fine Constant. In just a few years, the band released two full-length albums, and toured the world supporting Marty Friedman, Angel Vivaldi, Polyphia, and performing at festivals such as UK Tech Fest, Euroblast Fest, SXSW, and more. Her band has been hailed as, “an exceptional breed of top-notch instrumental metal,” by No Clean Singing, and features, “experimental know-how with a more finely-tuned approach to songwriting that bleeds together passages of spacey electronics and intertwining guitar melodies,” according to Heavy Blog Is Heavy. SARAH LONGFIELD first gained notoriety from her prolific guitar demonstrations on her YouTube channel. Since then, she has uploaded a collection of over one hundred videos, featuring playthroughs, cover songs, solo material, vlogs, and much more. To date, her channel has over 160,000 subscribers, and amassed millions upon millions of views.